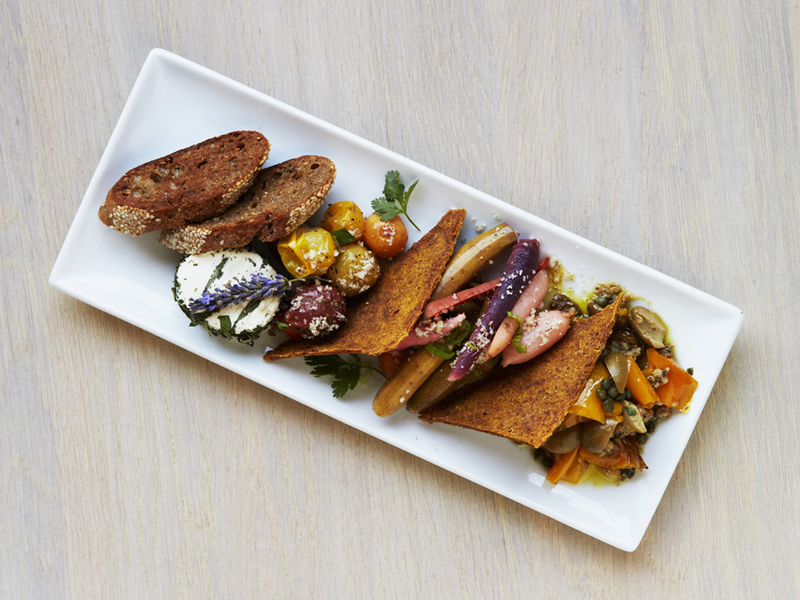 The Abundant, an antipasto plate with cashew-macadamia cheese, butternut squash, stuffed mushrooms and more, is what's for dinner at Cafe Gratitude's new Arts District location. To mark the occasion, Cafe Gratitude executive chef Dreux Ellis has created a new dinner-specific menu, which will be available daily, starting at 5 p.m.. The new offerings include a well-edited list of appetizers and entrees. There’s the seasonal citrus salad with shaved fennel and fresh dill; grilled asparagus with hemp-seed hollandaise sauce; and a soul-food-inspired composed plate of red beans, dirty rice, seared blackened tempeh, smashed maple garnet yams, cajun-spiced collards, and a gluten-free jalapeno biscuit. Some dishes, like the antipasto plate with nut cheeses and veggies, have been on the menu for a while, but will now only be available during dinner hours. A flatbread pizza of the day (currently topped with braised broccolini and cashew burrata) is also available. The design of the new 4,200 square-foot space was overseen by Wendy Haworth. The rest of the menu is filled with the same hearty, healthy breakfasts—raw granola, tempeh scrambles, fresh-fruit crepes—and all-day favorites, like the pad-thai kelp noodles and corn tacos, that have earned the mini-chain a devoted legion of regulars. Breakfast will continue to be available until 1 p.m. on weekdays and 3 p.m. on weekends while the all-day menu will be served alongside the special dinner dishes. 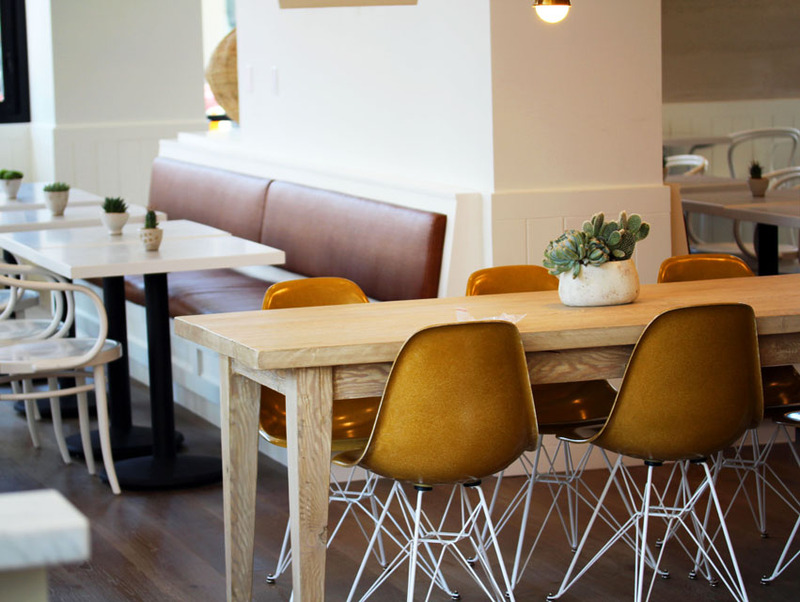 And no worries if you don’t live Downtown—the new dishes are also available at Cafe Gratitude’s Venice and Larchmont Village locations.